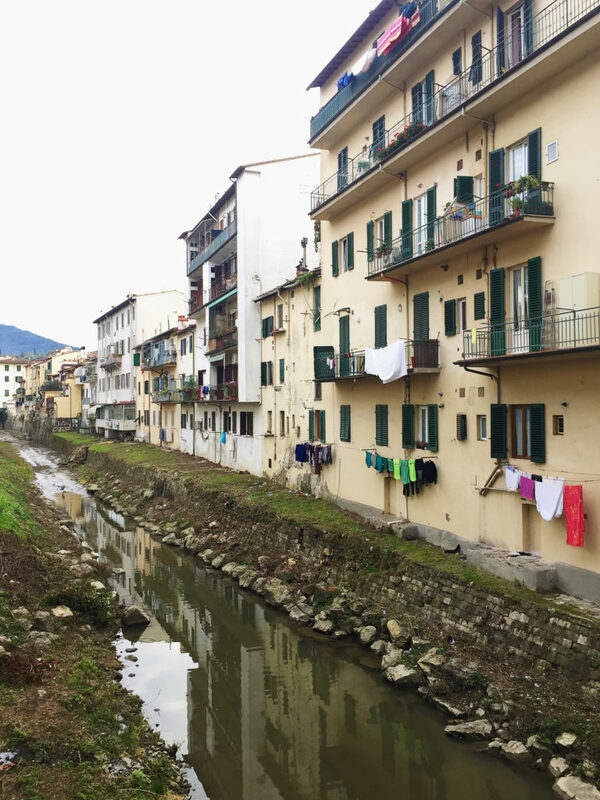 Across the railway, under the hills of Fiesole, cut through by the river Mugnone, lies Le Cure – my neighborhood. I moved here by pure coincidence almost five years ago. 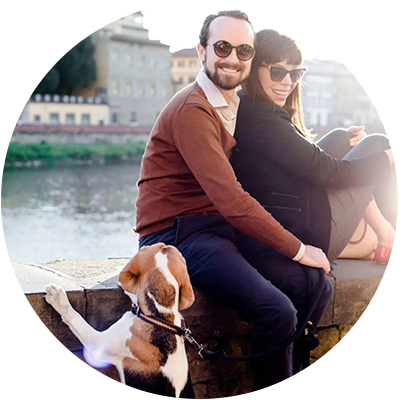 I was about to sign a rental lease for an apartment in a completely different neighborhood of Florence, but at the very last minute the owner changed his mind, and I suddenly had less than a month to find myself a new place before having to leave my old apartment. As they say, things happen for a reason, and I almost immediately found another place – in Le Cure. I didn’t really know the area before moving in. Sure I had past by Piazza delle Cure on bus no. 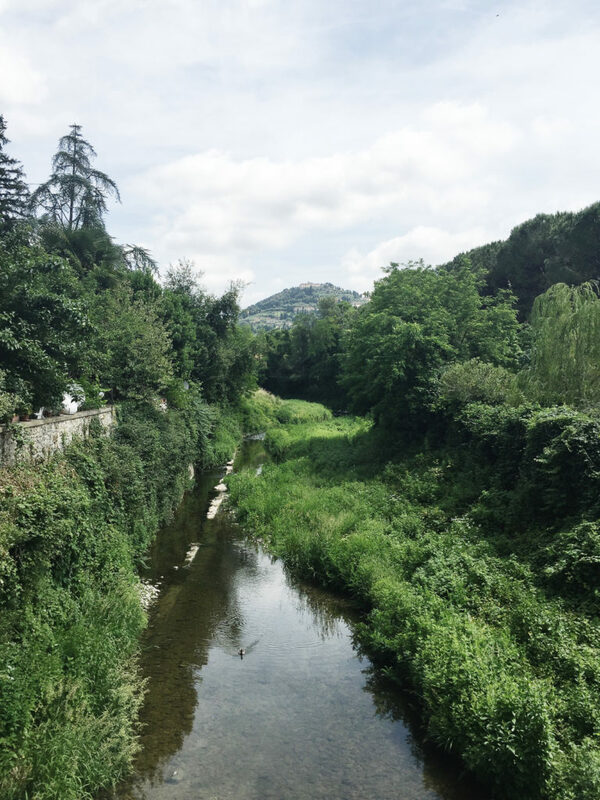 7 going to Fiesole, but that was more or less it, and although I liked the neighborhood right from the very beginning I admit that it took me some time before I started to really get the place and feel like a local – like I belonged here. Le Cure has a very special atmosphere which can best be compared to that of a small village. 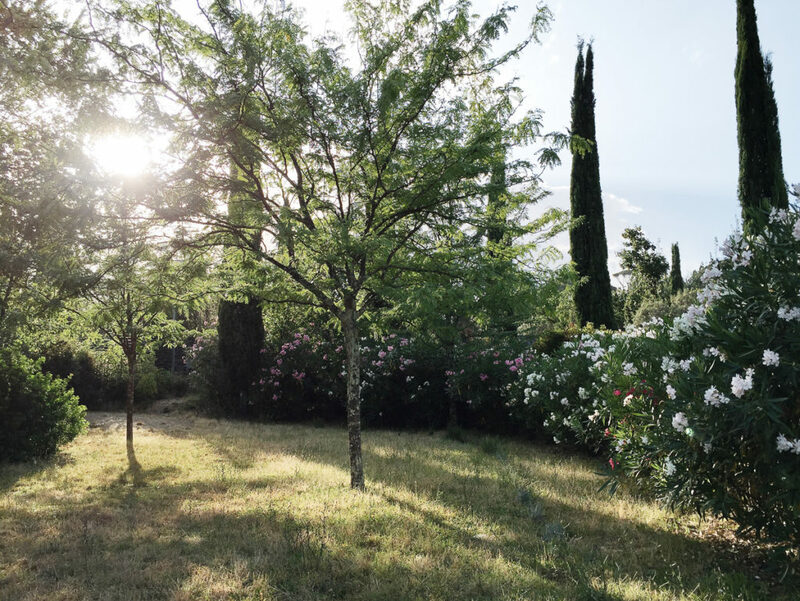 We are so close to the city center of Florence and yet it feels like another world out here. Maybe it’s the fact that we have an almost physical ”border” from the rest of the city. I am talking about the railway which you need to cross (if you arrive by car or bus) or underpass (if you arrive by foot or bike). From here you arrive right in the center of everything: Piazza delle Cure. Many people have a love/hate relationship with the piazza, which is in fact super chaotic in terms of traffic, but personally I like it. Just like any other Italian piazza it’s the center of all the little things which I love about Italian everyday life. 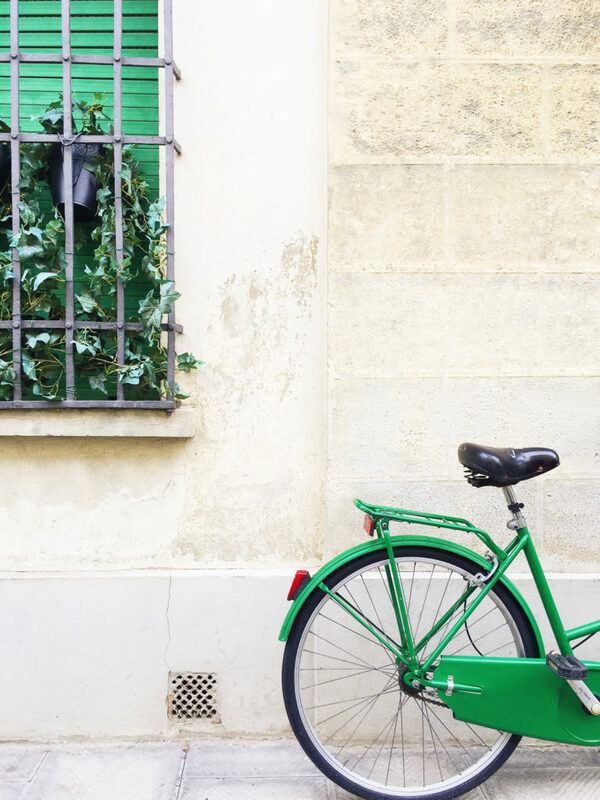 This is where locals go and pick up their newspaper at the edicola, several bars are located here, which means that it becomes a natural stop over for a quick morning coffee and chat or an aperitivo after work. 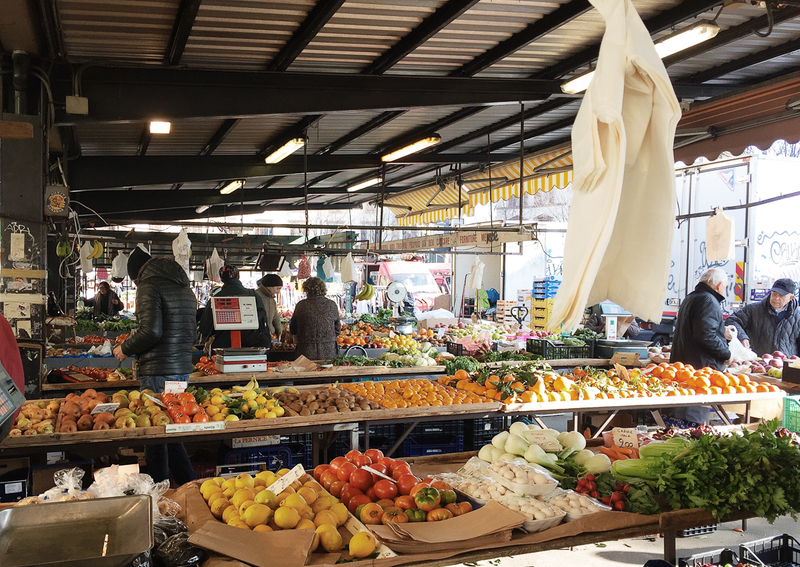 The piazza is also where you find the local ice cream store, Gelateria Cavini, and finally Piazza delle Cure is home to our local market, which is open every morning until lunch time – six days a week. Leading up to the piazza you find all the major ”shopping streets” in Le Cure. 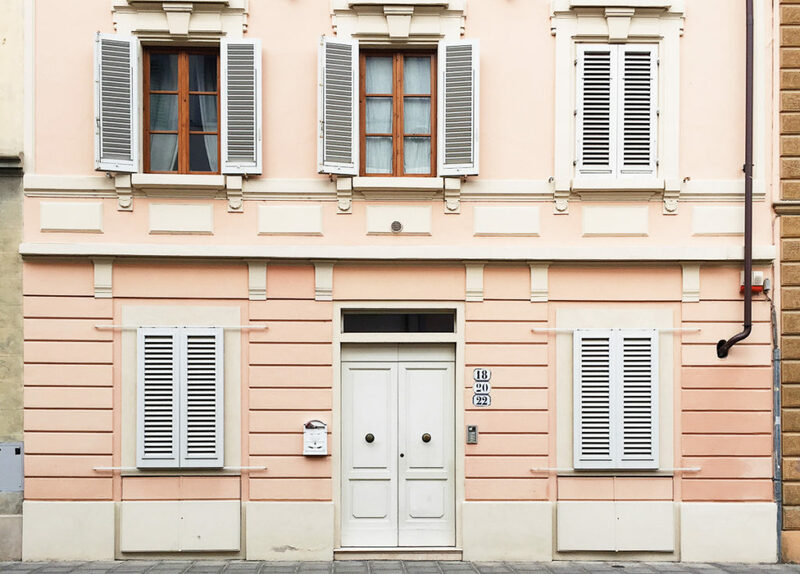 In Via Boccaccio, which goes all the way up to San Domenico, you find several artisans, but the streets are also home to newer shops. It’s a really good mix. 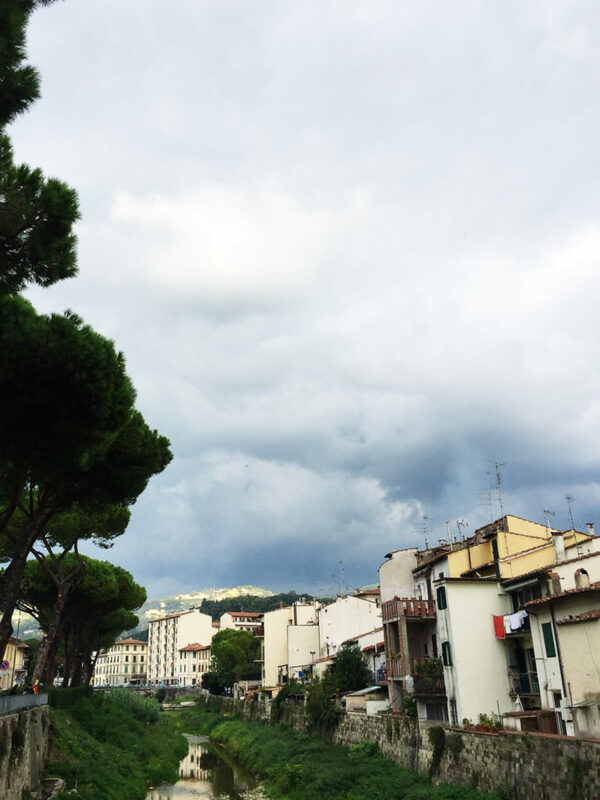 In Via Faentina you find the local park, the beautiful Area Pettini. On sunny afternoons the park is filled with children, parents and babysitters, and also lots of elder people sitting on the benches while chatting or going for a walk. During summer the park stays open until late in the evening and families bring their dinner from home in order to have a picnic, or they grab a quick pizza from the ”forno” across the street and enjoy it sitting in the grass or at the tables which are available in the park. Area Pettini also has an area where dogs are allowed if kept on a leash. If you prefer to let your dog run free you can visit another park located right behind Area Pettini – on the other side of the railway. This park is big and very beautiful and it’s dedicated exclusively to dogs, so they can run free and meet new friends. Speaking about animals and nature. In Le Cure you will find a rich wild animal life in and around the Mugnone. Walking along the river or looking down from one of the many bridges you can see fish, ducks, birds and of course the famous nutrie (river rats which are actually very cute). 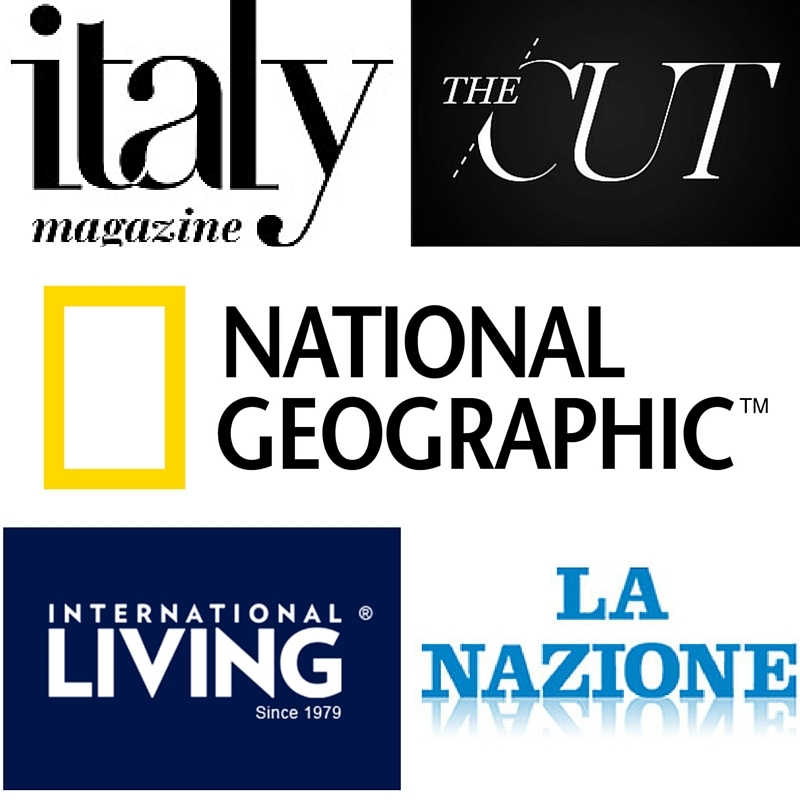 A lot of events take place in Le Cure throughout the year. We have several street fairs which take place in Piazza delle Cure and the surrounding streets, and we have a few annual events at Area Pettini. 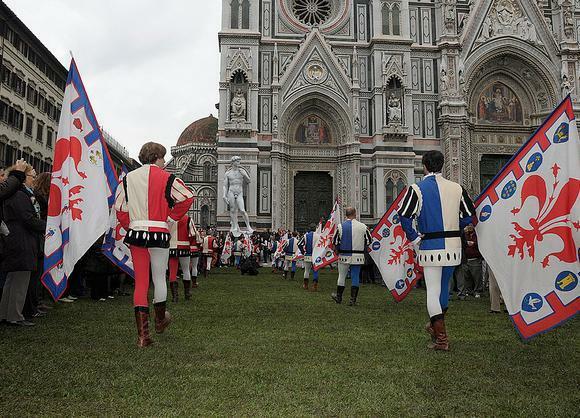 The events are usually organized by the local association of business owners or by the Comitato dei Genitori (the parents’ committee in Le Cure). 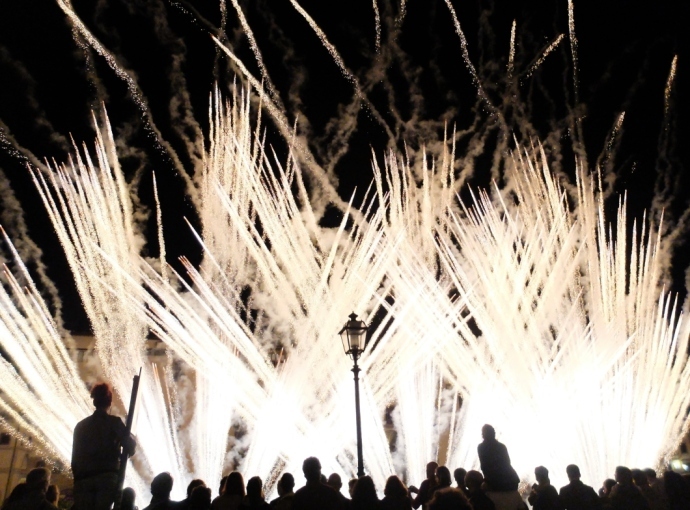 We have a spring party, a summer party, the Notte bianca and the Rificolona in September. For these events the streets are being closed for traffic allowing shops and restaurants to move outside. There are dance exhibitions from the local dance school, music and singing and lots of food and drinks. For Halloween kids in Le Cure will turn into little vampires, witches and other scary monsters in order to go trick or treat in the shops who on their hand are well prepared with tons of candy and chocolate. At the beginning I mentioned the sottopasso or sottopassaggio (the underpass) which runs under the railway. The place is an important part of Le Cure and not just for practical reasons. In fact it has become a natural gallery for changing street art, and if you pass through late at night you can sometimes see the artists at work as they decorate walls and ceilings. It’s really impressive and very beautiful. Finally you can’t really mention the sottopasso without mentioning Totò who, according to this interview, has taken care of the place for more than 20 years. He keeps the sottopasso clean, empties trash bins, puts up balloons and other decorations, he plays music – alone or with his friends – and of course he can be seen chatting with people passing through. He is a true symbol of this neighborhood. I love living in Le Cure. I love the diversity among people, I love that every time I walk through my neighborhood I always meet someone I know. Whether it’s the lady from the supermarket or someone I know personally. 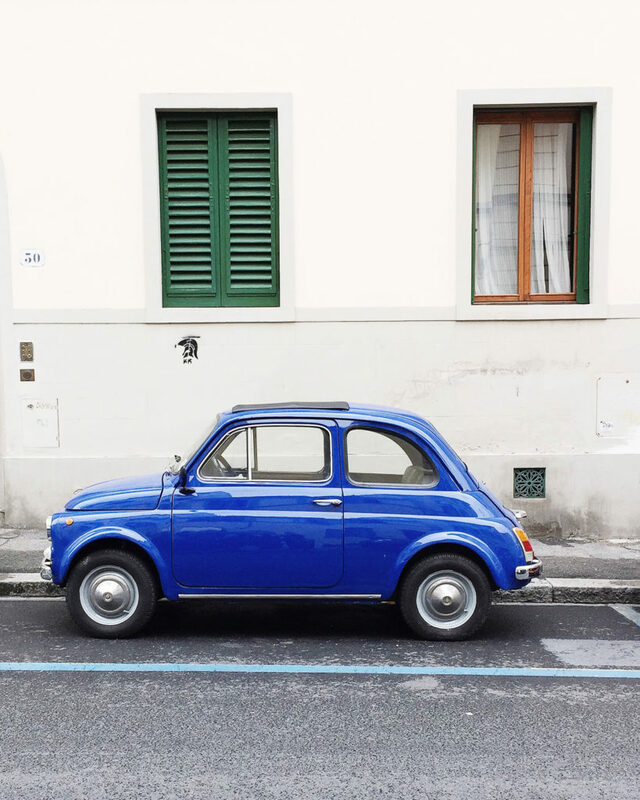 You always get (and give) a smile and a ciao or a buongiorno. They are little things, but they mean so much. And now I bet you just have one question left: Why is it called Le Cure? The name originates from the old word “curandaio” or ”curandaia”. Le Curandaie were women who ”curava” (cured) linen textiles down by the river Mugnone in order to make them softer and whiter. 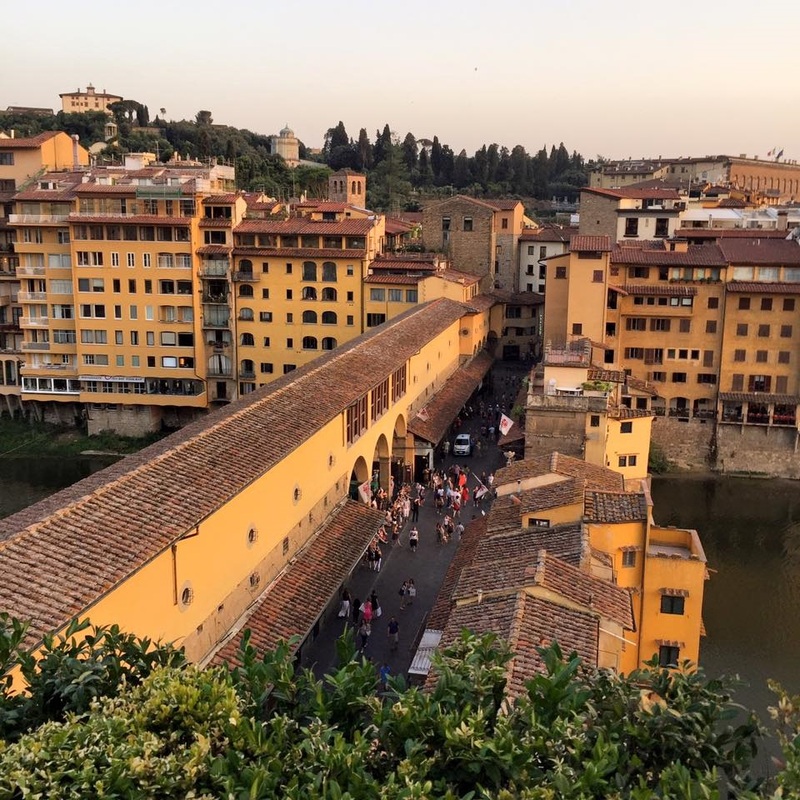 If you would like to know more about the history of Le Cure I also recommend the book ”Le Cure – Il quartiere di Firenze dove il presente convive con il passato” by Stefano and Vincenzo Giannetti. But first I recommend that you jump on bus no. 1A or 1B from Santa Maria Novella or Piazza San Marco. You will get here in app. 15 minutes and then you can go and see it all for yourself! 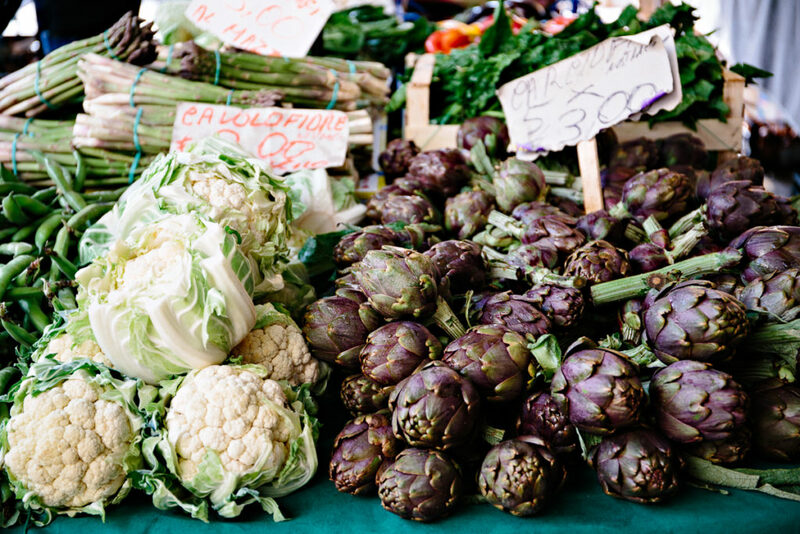 The market is located in Piazza delle Cure and it stays open every morning until lunch time Monday-Saturday. You can buy fruit and vegetables but also clothes, shoes, ceramics and kitchenware. The market is supposed to be temporarily moved very soon, as the piazza needs to undergo some (much needed) work and changes in infrastructure. It is not clear when this will actually happen, but don’t wait too long if you want to visit it in it’s original location. Bring home fresh homemade pasta or enjoy a simple, very delicious and definitely cheap lunch. Every day you can choose between 5-6 different pasta dishes. The place is simple but the food is good. Best cafe in Le Cure. Delicious cakes – some of them even vegan – and a really cosy atmosphere. Very reasonable prices and super friendly service. Cucchiaio (spoon) + forchetta (fork) = Cucchietta. This is my favorite restaurant in Le Cure. 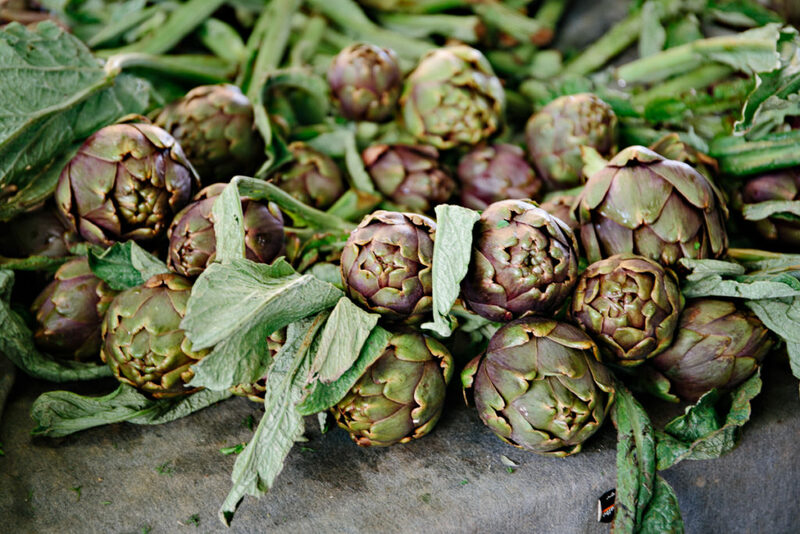 The menu is overall Tuscan and is always based on seasonal produce. Several gelaterie have opened and closed again in Le Cure over the past years but Gelateria Cavini in Piazza delle Cure is the only one which is still around. The place has won several prices for their gelato which is indeed really good. My favorites include the vegan chocolate ice cream and the mousse di caffè. Le Curandaie is a new association in Le Cure which offers all kinds of activities, classes and events with a special focus on children and mums. Le Curandaie is also a coworking space and it can be rented for birthday parties and other events. Sign up for their newsletter in order to be informed about upcoming events. One of the newer shops in Le Cure is the Spanish Pepita & Grano – a socalled slow shop where you can buy cereals, flour, nuts, herbs, legumes and so much more. Everything is sold without packaging and by weight. Bring your own containers and fill them up or buy them at the shop and reuse them over and over again. Gorgeous handmade ceramics. The place also offers classes for adults and for children. Le Cure is where I lived when I studied abroad in Firenze in 2000. I loved living there, as well. Hi Susan, thanks for commenting! I hope the article brought back lots of good memories from your stay in Florence. Le Cure is indeed a very special place. Have a great day! I’ll have to check it out! 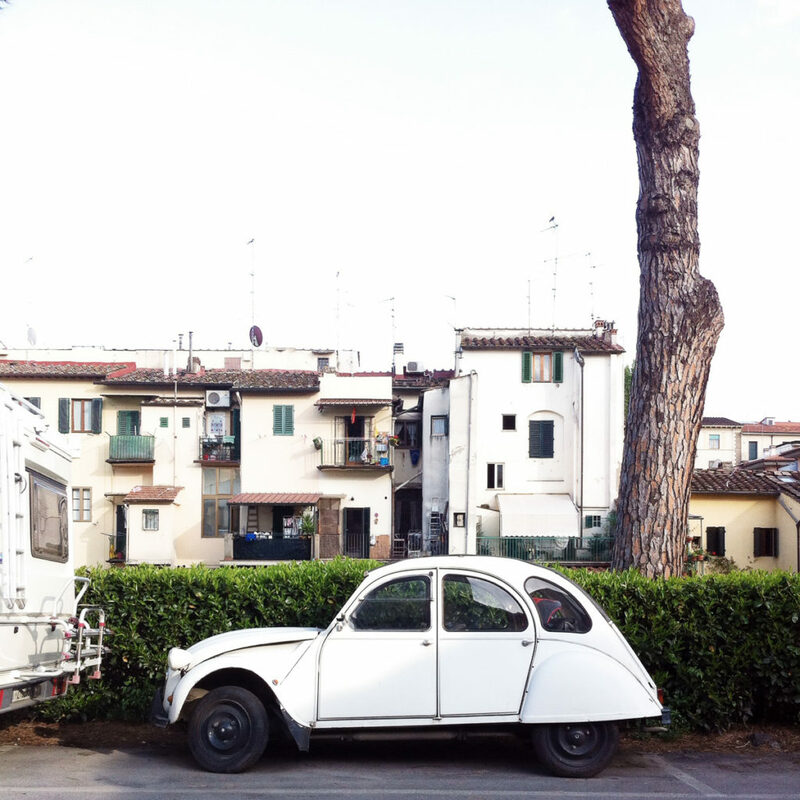 I fell in love with the Santa Croce neighborhood near San Ambrogio market but will absolutely broaden my roaming area! 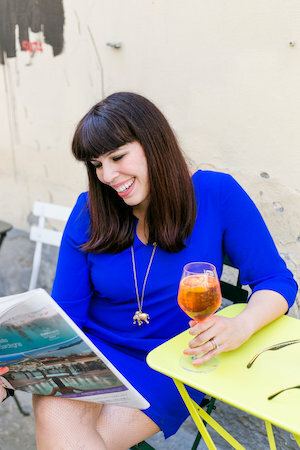 Hi June, I’m sure you will like Le Cure – especially the market which is smaller than Sant’Ambrogio but – in my opinion – more charming. I hope you manage to visit some day. Hi Birgitte, as you wrote in the previous comments, the article reminds me of the time I was living in Le Cure. So thank you for that! Have a great day! Hi Sandrine, thanks for commenting! I am happy the article could bring back good memories. Hopefully you’ll be back some day. The neighborhood sounds absolutely enchanting. I’m going to add a visit to my itinerary for the next trip (hopefully next year). 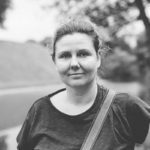 Birgitte is very passionate about her neighborhood as she should be and I asked her to share her neighborhood on the blog as a favor, for which I am very grateful. The whole point of this was to show people more residential areas of the city and since I don’t live there, it is nice to get a local’s perspective. Birgitte isn’t from the USA but I am and we don’t have markets like the ones that exist in Italy. It’s actually quite nice to see one that isn’t overcrowded with people like the Central Market in San Lorenzo :). Le Cure is pretty beloved by the people I know who live there and I’m really happy she has given a “face” to a neighborhood. I hope you enjoyed it. Sorry, I missed this comment – and yours Georgette.